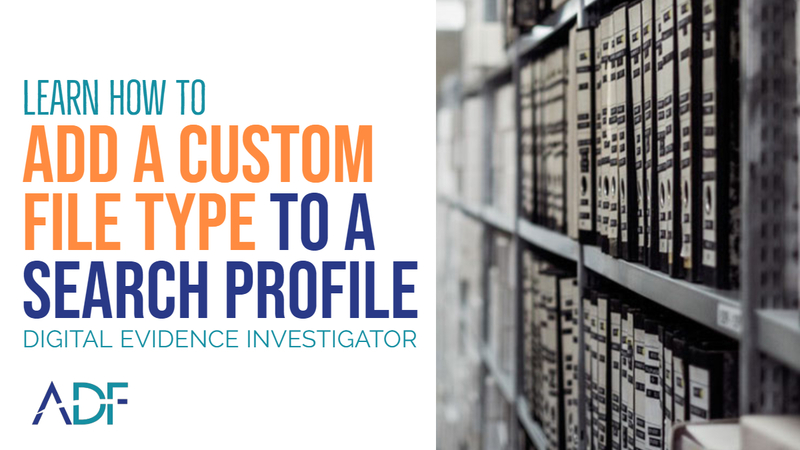 Digital Evidence Investigator® gives investigators the ability to customize Search Profiles and determine exactly what and where you want to look for digital evidence. 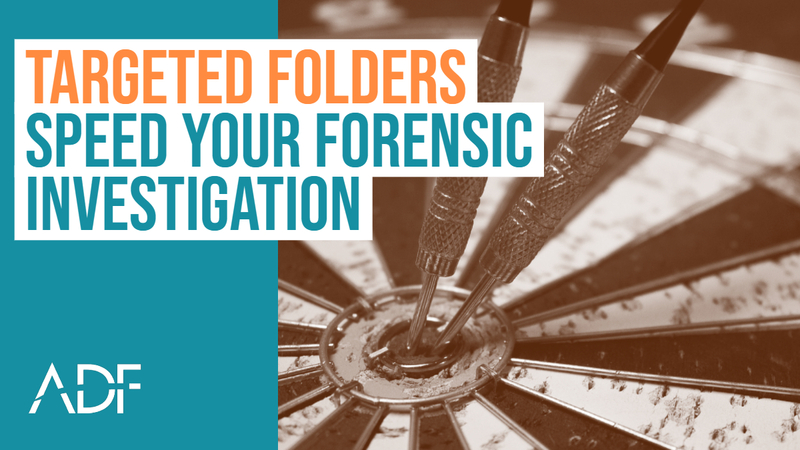 This is especially convenient when looking to tailor a search for a forensic triage type scan or a targeted collection. This is accomplished by using the Targeted Folders Option when creating a custom file capture. 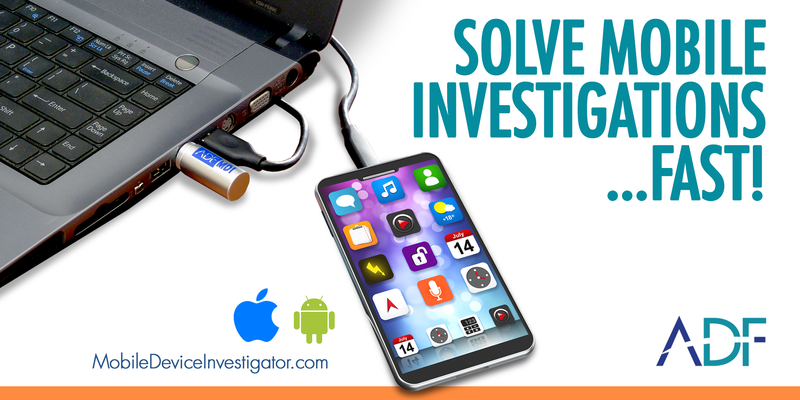 Bethesda, Maryland: ADF Solutions, the leading provider of automated forensic software for investigators and lab examiners, today announced the release of Mobile Device Investigator™ the newest forensic software to investigate iOS and Android devices. Qualified professionals can request a free trial of Mobile Device Investigator™ at www.tryadf.com. When conducting an investigation, it is important to be flexible and follow the direction of your investigation with as few obstacles as possible. If your examination brings you a new file type, such as a video generated by a hand held camera, or a proprietary file created by a unique software, you want to be able to search for, or collect these files types right away either on-scene or back in the lab. When conducting digital forensic investigations that involve live (up and running) computers, it is imperative to collect volatile memory so that all your bases covered and so that no vital evidence is lost. A live analysis conducted in the correct manner will yield the results you are looking for in your investigation. 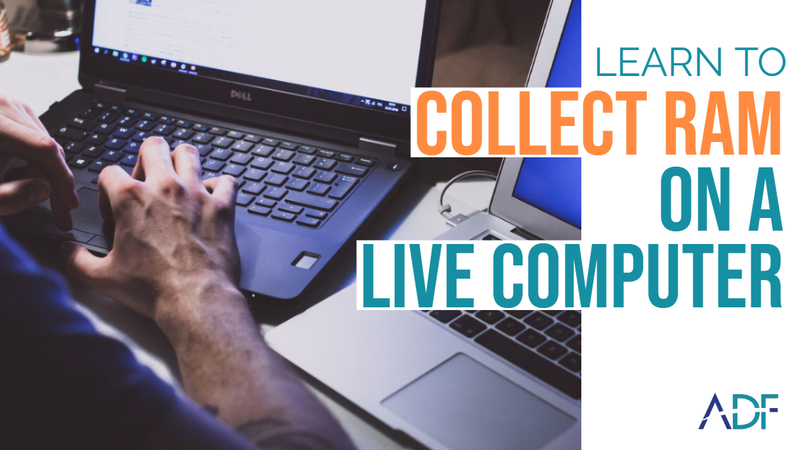 It has become commonplace and an accepted practice to collect data from a live computer, especially in cases of child exploitation. ADF software makes it easy for you to perform a RAM capture it in the proper manner with as little intrusion as possible. When you're faced with a mountain of digital evidence, how do you start sifting through it? For law enforcement, litigation support, and incident response agencies organizing and prioritizing digital media and electronically stored information (ESI) is crucial. 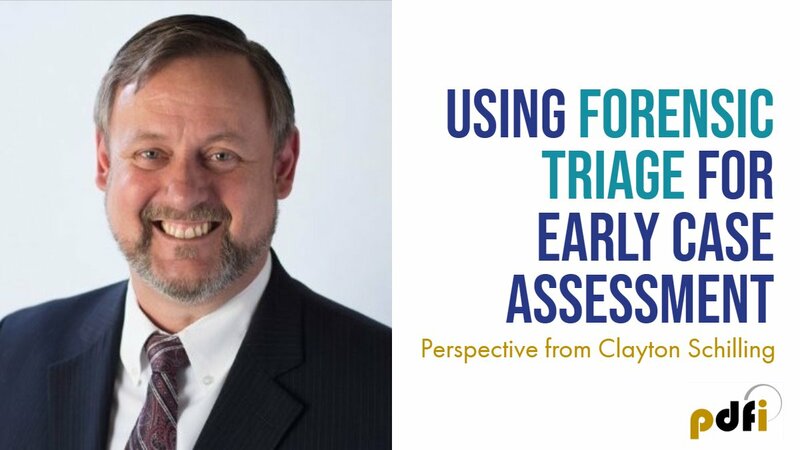 Adopting an Early Case Assessment (ECA) methodology helps expedite and improve overall case efficiency and productivity; reducing backlogs and increasing turnaround times.